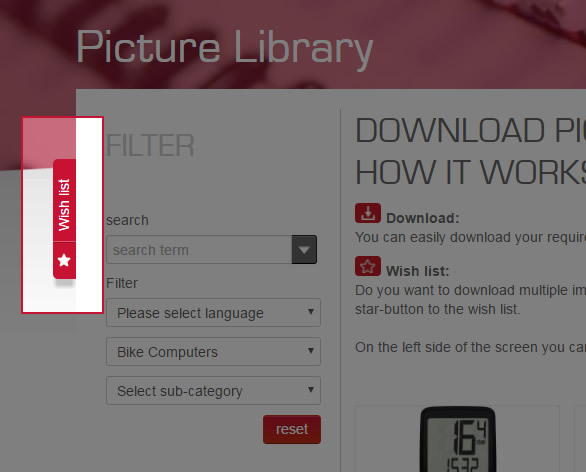 You can easily download your required images individually via the download button. Do you want to download multiple images at once? No problem. Add your choice simply by clicking the star-button to the wish list. 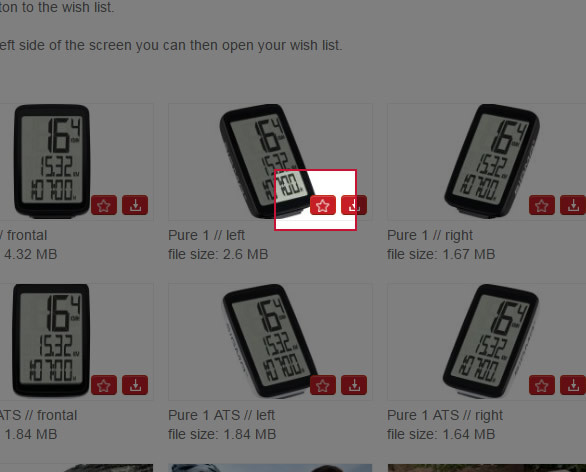 On the left side of the screen you can then open your wish list. Currently no data are stored in the wish list.